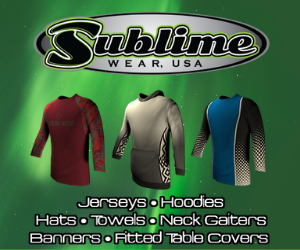 North cool breeze is on the horizon. It may not seem like it now but, to a public land waterfowl hunter this is the time of year where the blood starts to pump. It's the first step to those cooler days and waterfowl locked up in your face. 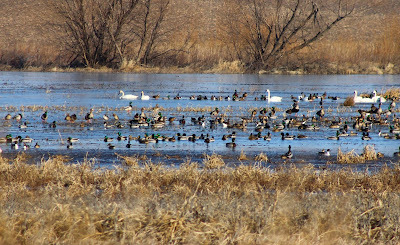 Each year the IDNR draws blinds for public waterfowl hunting. There are a few days, so try your luck at multiple locations. Bring the family it's a good time to cook out have some laugh and hope the odds are in your favor. In bold you'll see some of the crucial information you'll need in order to qualify for the drawings. This is a great opportunity to get those youngsters out of the warm house and into the waterfowl blind. Youth from ages 10 - 17 have the opportunity to register for this hunt. It's easy enough, just call!!! SPRINGFIELD, IL – Youth interested in participating in the annual Central Illinois Youth Goose Hunt, sponsored by the Illinois Department of Natural Resources (IDNR), may register now for the hunt scheduled for January 14-15, 2018. Anyone who is passionate about something has put their blood, sweat and tears into it, regardless of what that is. As waterfowl hunters we have the ability to harvest a wide range of species, from the beautiful wood-duck to the ever-elusive snow goose. While chasing waterfowl, you'll bleed, you'll sweat, but you'll continue to put in the hard work. 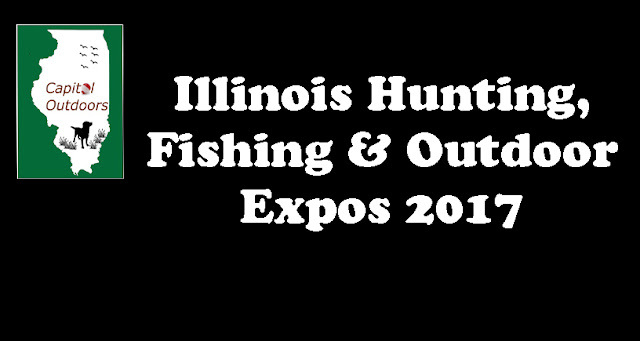 While hundreds of lucky blind winners prepare to build, repair and brush their blinds for the 2017 -2018 season the Illinois Department of Natural Resources released their season dates. Trying to find a place to go, but don't want to head home after waking up at 2:00 AM? Then try your luck in the permit draw. You'll find it at the end of the press release. The draw starts August 16th. Good Luck! As it has been for my entire waterfowl hunting career, the 2017 -2018 duck season will be 60 days for ducks and 107 days for goose. 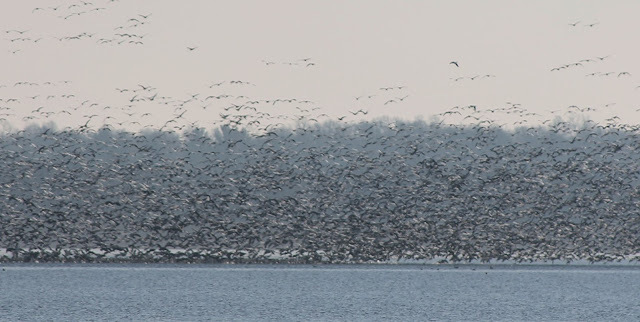 The older generation may remember a 45 or 30 day waterfowl season. 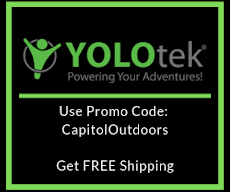 However, with strong conservation efforts from local, state and federal agencies along with private organizations the possibility for a 60 day season has increased. NOTE: Central Illinois Goose Hunters: there is a split season! If you're looking for other dates for various hunting seasons check out the 2017 - 2018 Hunters Digest. The 2017 - 2018 Waterfowl Digest has not been released yet. Please make sure to check back. State parks around Illinois were host to hundreds of waterfowlers this weekend as they tried their luck to win a blind for the 2017 - 2018 season. This is the unofficial start to waterfowl season. Blind winners only have a few short weeks to get their information in to the state, build, brush and take care of any other maintenance needed. 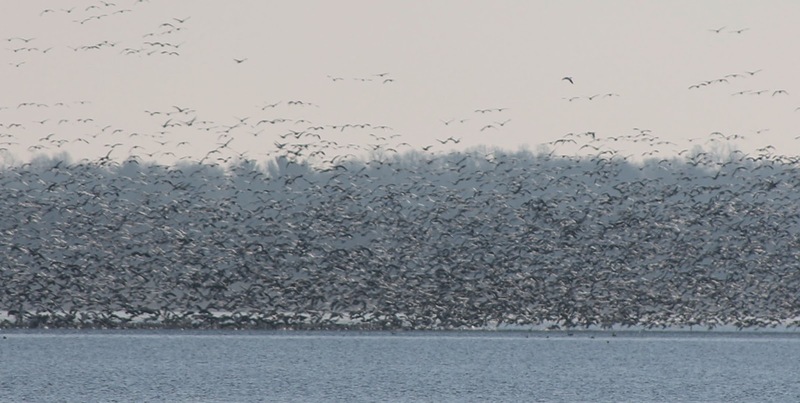 MEREDOSIA, IL – The Illinois Department of Natural Resources (IDNR) will host a public open house meeting to address potential changes to the waterfowl hunting program at Meredosia Lake on Wed., May 10 from 4:00-7:00 p.m. at the Meredosia Wildlife Refuge office. The IDNR will be soliciting public opinion regarding the number and placement of waterfowl blinds on Meredosia Lake. Attendees will be asked to fill out a survey in which they can suggest blind numbers and placement according to their preference. The meeting will be held in an open house format so that attendees may come and go as they please; there will be no set agenda and no formal presentation by IDNR. Personnel from the IDNR Division of Wildlife Resources and IDNR Office of Land Management will be available to answer questions. 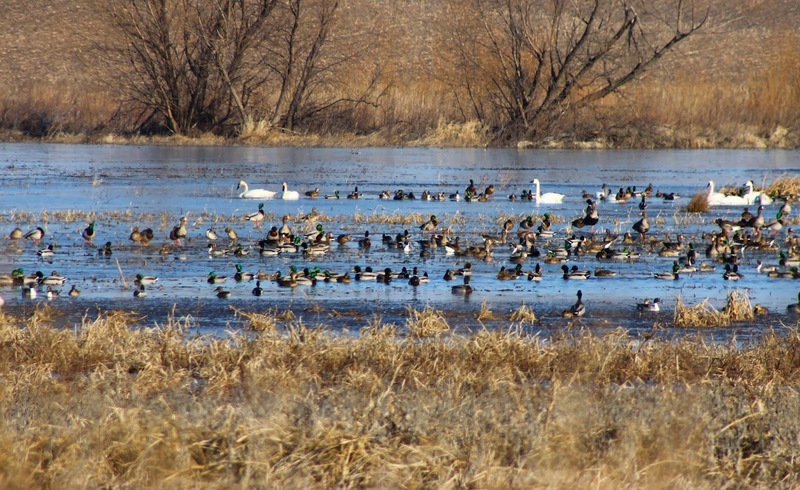 Information gathered at the meeting will help guide IDNR’s waterfowl hunting program at Meredosia Lake. The public meeting will be held at the U.S. Fish and Wildlife Service Meredosia Wildlife Refuge office, located at 2219 Beach Road, Meredosia, IL. The office is located just north of Meredosia along Beach Road (west side of the road). The meeting is open to waterfowl hunters and anyone else interested in the waterfowl program at Meredosia Lake. Alcohol and pets are not allowed on the grounds. For more information, contact Tim Kelley at 309-543-3262 or Randy Smith at 217-785-2347. Feels like the season just ended and for those snow goose hunters it did. However, it's already time to start thinking about the next season. The Illinois Department of Natural Resources has released the 2017 Waterfowl Blind Sites and Dates. Hopefully this will be my lucky year and I will win a blind. Like so many of you we grill out, share some stories and have some laughs. Duck blind Drawings have become a Family Affair for us. Best of luck to all participants this year. Please make sure you read this. There have been some changes. Most importantly there is a new rule requiring a photo ID. What a great opportunity to get those youngsters outside and learn about wingshooting. 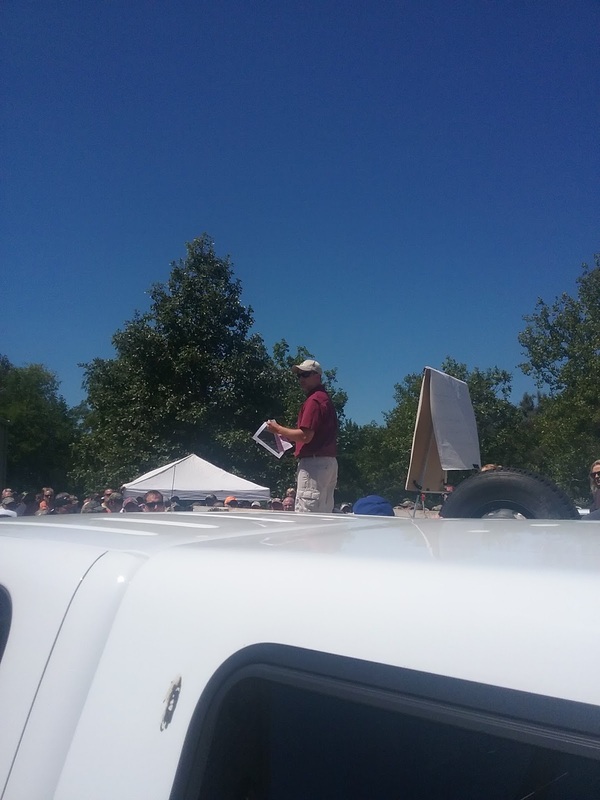 While never a student for one of these clinics, Capitol Outdoors has observed one of these classes and can say this is a great chance for anyone who loves to waterfowl or upland game hunt. 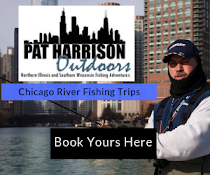 Read the press release below from the Illinois Department of Natural Resources to find out more information and how to sign up. GRAFTON, IL – Young hunters between the ages of 10-17 can apply now for the Pere Marquette Youth Wingshooting Clinic and Pheasant Hunt scheduled for Saturday, March 4, 2017 at Pere Marquette State Park in Jersey Co.
Have a youngster that loves to waterfowl hunt? The IDNR has an opportunity for them then. Below is a press released about an opportunity for an Illinois Youth Goose Hunt. Best of luck for all those that participate. SPRINGFIELD, IL – Youth interested in participating in the annual Central Illinois Youth Goose Hunt, sponsored by the Illinois Department of Natural Resources (IDNR), can register now for the hunt, which is scheduled for January 15-16, 2017. To register for a drawing to participate in the hunt, youth hunters must phone in to the IDNR at 217-785-8060 by theregistration deadline of Friday, December 30, 2018. The youth goose hunt will be held at private waterfowl hunting clubs in the Canton area in Fulton Co. The hunt is open to youngsters ages 10-15 at the time of the hunt. 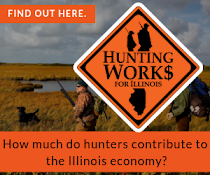 All applicants must possess a valid Illinois hunting or sportsman's license, have a Harvest Information Program (HIP) registration number, and have a 20 gauge or larger shotgun. Youth hunt participants must be accompanied by a parent or guardian who must possess a valid firearm owner's identification (FOID) card. 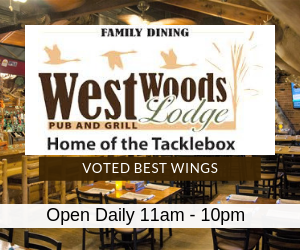 Looking for a place to do some waterfowl hunting, well you're in luck. 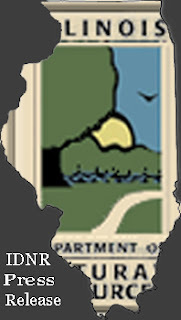 The IDNR and the Illinois Recreational Access Program has added some areas. 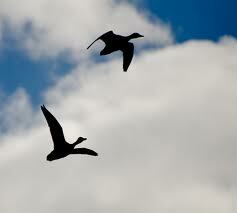 IRAP has been known for deer and turkey hunting and now waterfowl hunting has been added to the mix. SPRINGFIELD, IL – The Illinois Department of Natural Resources (IDNR) has secured several waterfowl hunting sites in Macoupin, Sangamon, and Schuyler counties through its Illinois Recreational Access Program (IRAP). 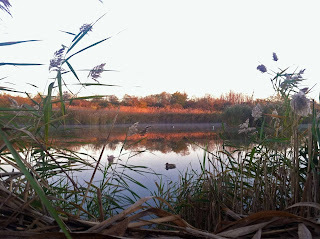 Looking for a opportunity to go waterfowl hunting? Emiquon owned and managed by the Nature Conservancy will be having a drawing to allocate will be doing there annual draw.